Join us Thursday, Feb. 21 for a "Salute to America's Heroes" featuring discounted tickets for first responders, fire, police, and military service personnel. Use the promo code to receive tickets for $14 each ($4 off the regular price of $18). You can purchase additional tickets (up to 12 total) while completing the registration page. For this performance, ALL seats are General Admission and seating is first-come, first-served. Doors to the arena open at 5:30 p.m.
Thursday, Feb. 21 • 6:30 p.m.
All seats are General Admission for this performance. Seating is first-come, first-served. We are saluting America’s heroes at the first public performance of the 2019 Tangier Shrine Circus. Discounted tickets for military personnel, first responders (fire, police, and rescue), and their families are available for this show. After Feb. 15, tickets can be purchased for $14 each at the Mid-America Center box office during normal business hours (or before the Feb. 21 showtime) by showing your military or first responder identification. You can purchase up to 12 tickets in a single transaction. Questions? 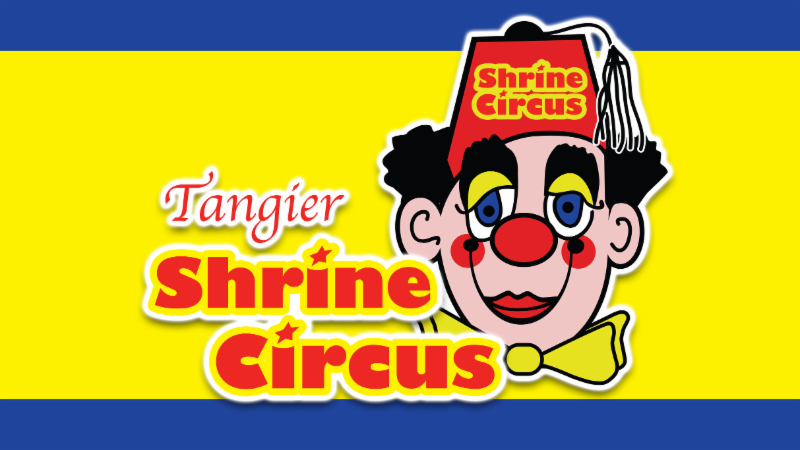 Call the Tangier Shrine Office at 402-392-0404. • Children ages 2 and under who sit on an adult's lap do not require a separate ticket. • Doors to the Circus Fun Fair open two hours before the circus performance. showtime. The Fun Fair is also open one hour after this circus performance. • Doors to the arena open one hour before the circus performance. • The Mid-America Center offers free parking!